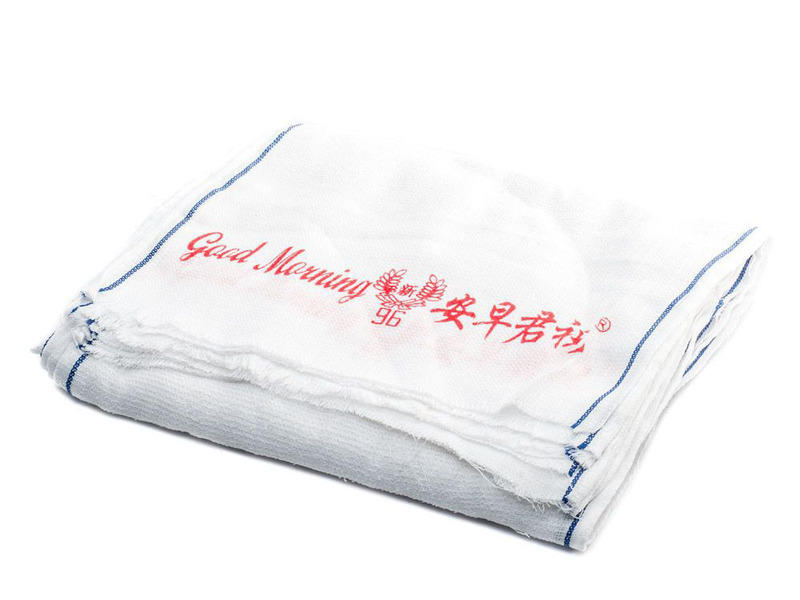 A towel printed with bright red wordings"Good Morning" and Chinese wordings with the same meaning. These iconic white cotton towels with Good Morning printed in red at the edge often seen draped over the shoulders of rickshaw pullers and labourers. The towels are used in hair salons and are often seen on the arms of coffee shop waiters. Instead of the usual hand towel, the plusher souvenir version is a bath towel with the words "Good Morning" embroidered in gold. This towel is an old Hong Kong design (probably more than half a century ago). At that time, almost every home has several of these.